It may come as a surprise to you, but I am somewhat of a crazy cat lady! Yes I only have one cat but he is my fur baby and is treated just like one of the family. He even has his own corner of the house with his own wooden sign above it “Ozzie’s Corner”, he has a miniature sofa, scratching post, climbing tree and lots of toys to play with! When I was asked to review The Cat Game I just couldn’t say no! 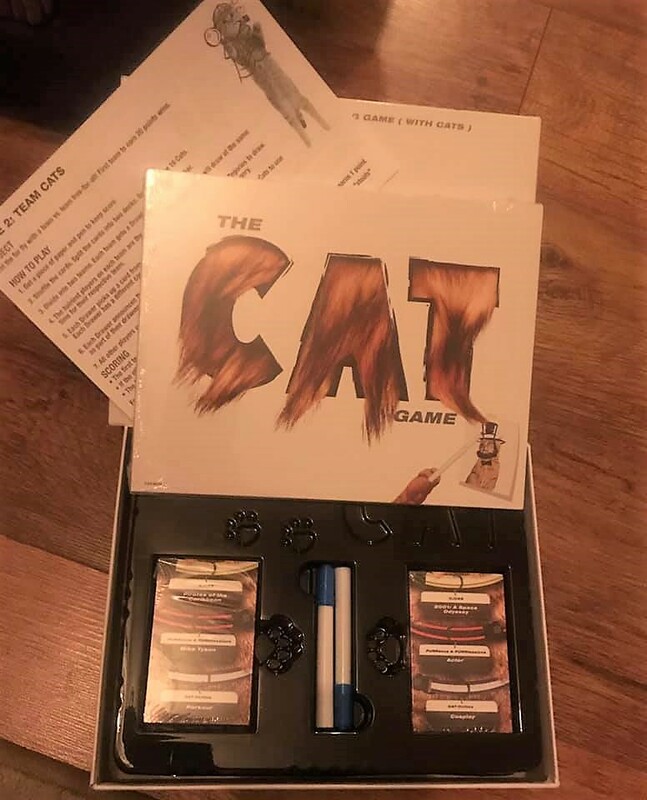 The Cat Game by Spin Master is a drawing game for teens and adults described as the hair raising drawing game (with cats). 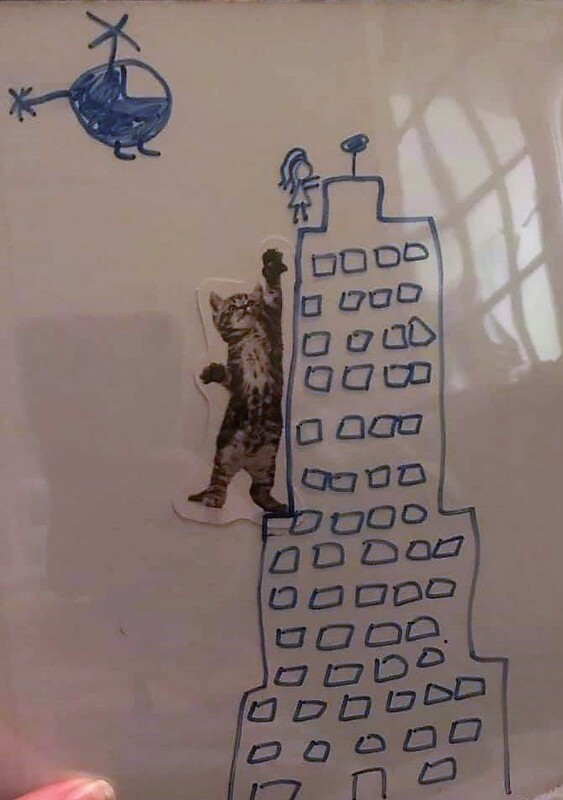 The meow-ment is here: The Cat Game is a hiss-terical drawing game for cat people (and regular people!) Play solo or divide into two teams and catfight your way to victory! When the game arrive I was so excited to play it! 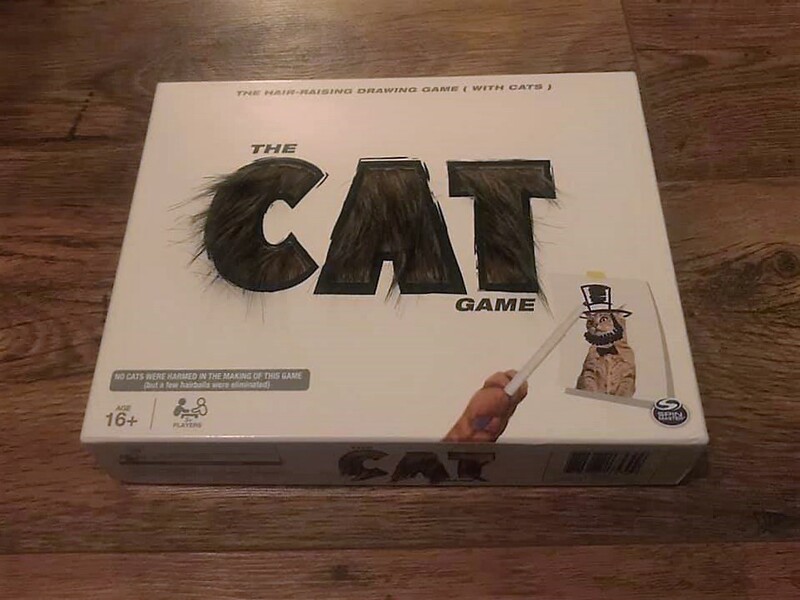 The box itself stands out a lot mainly because the word cat is furry! 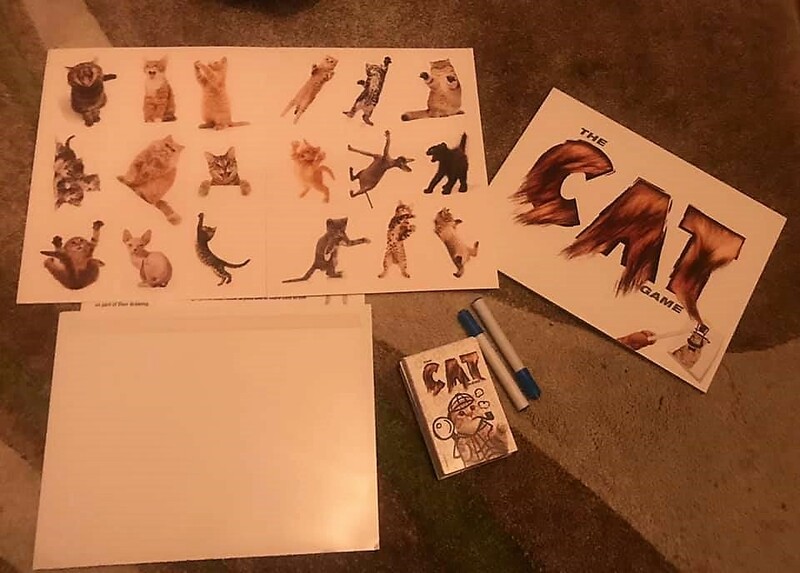 Inside the box you will find two drawing boards, two pens, two decks of cards and cut outs of cats all in different poses and positions to help you draw the best clues that you can. You put the two deck down and each pick up a card from your deck. 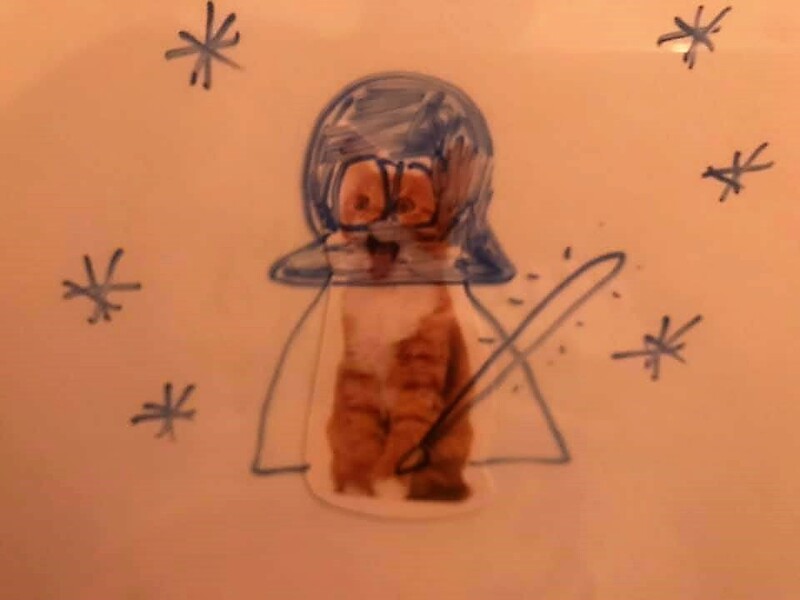 You have three CATegories to choose from; fLICKS (movies), PURRsons & PURRfessionals (famous people, characters or job titles) or CAT-tivities (actions). 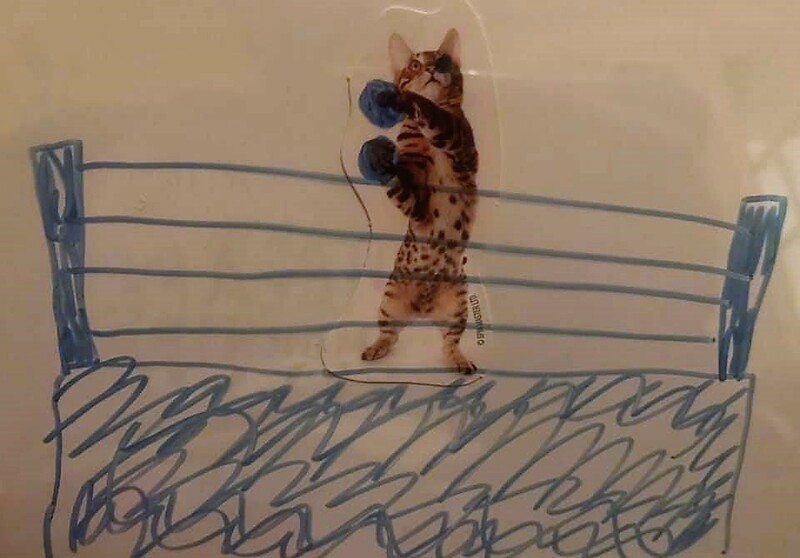 Then you both have to race to choose which cut out cat you will use to best draw your clue, place the cat under the film on the drawing board and draw away. The other person then has to guess what you have drawn from the category. The first person to guess five clues wins! Playing the game was fun and exciting and utterly hilarious! Here are some of our drawings, can you guess the write answers? 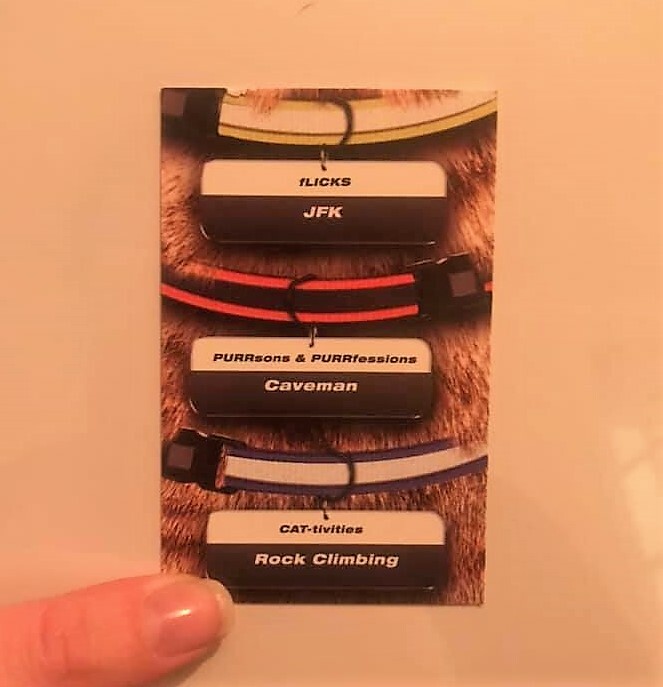 recommend it for anyone, it would make the purrfect gift for any cat lover!